I recently watched the Twilight Imperium (TI4) documentary (Space Lions) with a mixture of wonder, sadness and frustration. It was nice to see the Shup Up & Sit Down guys turn their clear talent for content creation away from their opinions (shonky at best) to ‘real’ tele. Bravo, chaps – seriously professional job. But boy, did it lift the lid on what (many people presumed) happens over at Fantasy Flight Games. Having played TI3 a few times I was interested to see what would change in this new edition. But as I watched the game’s history play out, right back to first edition prototypes, I lost all hope. And looking at comparison videos of the new edition, those fears were confirmed. History is, once again, repeating itself. I believe TI4 is more streamlined, a little shorter, a bit more accessible etc. But two tragic things struck me as a I watched. Firstly, how insular this firm really is. And second, how that seems to be stunting the game; and the company’s ability to fix mistakes it is making again and again. Twilight Imperium: Testing with the wrong people? In Space Lions the developers state, proudly, they have a dedicated fan base ready and willing to test new editions of the game. Which seems a strange brag, as one of the first things I was told as a designer (and still pass on now) was this. Asking your friends’ opinions about a prototype won’t get the answers you need. They like you and they’re not experts. What you need is people who will be critical, preferably from a wide range of design perspectives. So, what we end up with in Twilight Imperium, over and again, are Groundhog Day style bad moves. And I’m not talking about ‘theme’. I love the fact each race has a backstory and the universe has rich and detailed lore. I’m talking game play and design – and really basic stuff. White text on black cards. Tiny fonts. Lack of useful iconography. Terrible overuse of language, both on cards and in the rules. There are so many more. But they have that core audience that thinks ‘experience’ first. They happily make house rules to fix the game’s problems. They don’t mind playing a game for 10 hours, where they in fact only did a few things that influenced the actual winning of the game. And when presented with a new version, they don’t notice the basic flaws (that put the rest of us off) because they’ve gotten used to them in previous editions. But ultimately, why would Fantasy Flight care? Its other properties make many of the same mistakes: Arkham Horror, Fallout, Discover etc. But they all sell in their thousands. It’s doing enough right to keep its core audience happy, and that core audience is larger than many. So, I expect we’re doomed to see more of this going forward. Or are we? It was refreshing to see Fantasy Flight release an incredibly streamlined product last year with KeyForge. Here it went outside its usual design/dev pool to Richard Garfield: a man who knows his onions when it comes to simplifying the game experience without losing depth of play. Easy rules, great use of iconography – everything made sense. I’m surprised he wasn’t laughed out of the building! Here’s hoping Fantasy Flight Games will recognise this chink in its armour and exercise a bit more basic design savvy on its bigger properties moving forward. It wouldn’t lose anything from what it has now, so what’s not to like? I love the occasional game of Eldritch, or Fallout, or Mansions of Madness. But I could, and would love, to love them so much more. I’m a bit of a Luddite. While I embrace the internet I have no real interest in the zeros and ones in the background – or the scary world of ‘big brother’ AIs. While I understand computers have huge potential in gaming, I have little interest in exploring these avenues myself. So, will I be left behind? Or worse, has it already happened? My last published game, Witless Wizards, has a great Tabletopia page done by Drawlabs. While my friend and co-designer David Thompson always creates versions of his prototypes on Tabletop Simulator. These are clearly brilliant for both prototyping pre-publication and publicising post-publication. I’m happy to play on them. But you won’t find me delving into the back-end of them myself. Where these platforms really come into their own is big data. I know, for example, CGE ran some serious algorithms to balance factions in its asymmetric abstract game Tash-Kalar. What better way to supplement more emotional human testing than via machine? You can also see AI and board game design going hand-in-hand simply storing data on matches played. I’m sure Feuerland Spiel used the data from thousands of online plays of Terra Mystica to help them balance factions in expansions and in Gaia Project, for example. While data from the online implementation of CGE’s Through the Ages clearly influenced changes in second edition, A New Story of Civilisation. In a recent survey, (which I spoke about recently on the topic of Kickstarter) 33% of ‘product professionals’ listed their biggest fear as new technology stifling creativity. Look at Tash-Kalar, for example. While I enjoyed the game for a while it was just too dry to fall in love with. Too precise. Might the game have been more popular if those rough edges hadn’t been smoothed away? Also in the survey, ‘AI and predictive tech’ was listed as the second most desirable technological advancement for those same retail product professionals (40%). We’re clearly a divided market, with as many creatives fearing AI as wanting to embrace it. But I take solace in the fact it was beaten into second place by 3D printing (46%). What are your thoughts on AI and board game design? I’d be fascinated to hear from those working on digital platforms, where many analogue games now appear in digital form. And where digital games that could’ve been analogue are constantly updated and amended, presumably via big data feedback. Creativity has been a big part of my life. From Lego ‘masterpieces’ when I was small, through sad teenage bedroom poetry, to writing and designing now that I’m, well, less small. Every day I wake up and, at some point, feel that urge to create. I’m lucky I’ve managed to earn a modest living from writing (certainly not from designing lol) and managed to do most of my creating without having to get direct face-to-face public feedback (managers, colleagues and friends don’t count!). While music has also been a big part of my life, for example, I never felt the urge to perform. The idea of being on stage for anything has always terrified me, which has gotten worse with age as anxiety has started to take a hold on my life. but unfortunately, every now and again, it can’t be avoided. I had the privilege of writing the programme/booklet for the Cambridge Folk Festival for about 10 years (until 2012). It was poorly paid and managed (the editing process, not the festival), but it meant I got free backstage passes to a festival I loved – what’s not to like? But at the festival, I had my first experience of live public feedback – albeit indirectly. A similar thing now happens with my board game designs, when I’m lucky enough to have them published. The most memorable example was at Essen 2016, when Queen Games released Armageddon (co-designed with David Thompson). While ultimately the game didn’t do too well, Queen did an amazing job of pushing it at the event. It must’ve been on 30 demo tables, which were filled throughout the weekend. Walking past those tables, or watching them, was so weird. That’s our baby! What made it worse is Armageddon is a thinky auction-style euro game with tough decisions. We could often look along a long line of tables and see no laughter, no smiles, no back-slapping – just a bunch of surly, miserable looking faces lol. Luckily a lot of those faces were turning into sales, but it was an incredibly anxiety-inducing and awkward experience! But on the flip side, I’m not worried about reviews. I’ve been reviewing for years – live by the sword, die by the sword. Not everyone is going to like every game, so there’s no point hoping they will: you just have to hope it’s good enough to get more good reviews than bad, and that those who don’t like it at least understand it and are fair. But even if they’re not, brush yourself down and move on. Creating for the public is a privilege – but the minute you put your creation into the public eye you must be prepared for criticism. You need to understand that it won’t all be fair, or justified, or even coherent. But more than that you have to be prepared to walk away – not to engage. If you can’t do that, keep your creations to yourself and your friends. Everyone can create, but not everyone is ready for public scrutiny. Game design: With 1,000 games released at Essen, is due diligence still possible? I caught up with Board Game Geek ‘news guy’ Eric Martin at the Essen Spiel press event. Journalists are a cynical bunch, so it was no surprise we took a bit of a sideways look at the current gaming landscape. 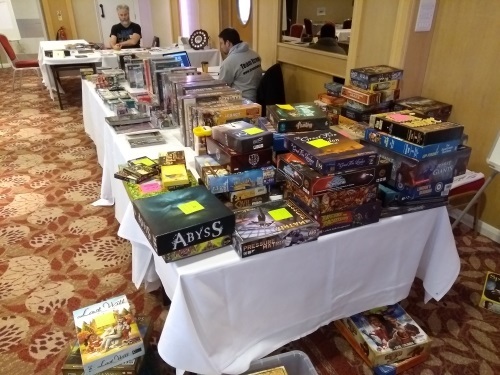 The main point I made was that, in a world where getting on for 1,000 hobby board games are being released at a single gaming event, how can designers, reviewers and even publishers to do their due diligence? Is it any surprise the number of average games grows while the number of outstanding ones stays the same, when it is impossible to track what’s being released? This thought had started to manifest before the event. After going through a list of Essen 2018 releases, I had a slightly shorter wish list than in previous years. Talking to friends I heard a similar story: more games, less of interest. While you can put a bit of this down to a growing cynicism from being long in a hobby, it seemed too common to be just that. So what was it and why? This is a bit of a stream of consciousness, so please take it as such. Are the big publishers getting safer? The majority of games I wanted at Essen were in halls 4 and 5, where the smaller publishers tend to live. I had practically nothing in halls 1 and 3, which is home to the bigger stands. As I wandered past those bigger publishers, it was noticeable their games were unsurprisingly family oriented, short and pretty, but also largely bereft of originality. Sure, some had clever little tricks (Solenia being a good example, or The River) but they didn’t offer staying power. These were games that would win win you over with their looks, but that you’d be done with within a few months/plays. You can argue in the current climate this makes sense: put out a pretty game that’s easy to play and teach (to maximise con sales and video reviewer coverage) and that people will enjoy until next Essen, when you can sell them the next game. Music, film, video gaming – even consumer electronics such as phones – already work this way, so why not board games too? It feels like a ‘big business’ move into an arena that isn’t used to it – and may not be right for it. When you look at the likes of Hasbro, who have been nailing this market for years, the North Star Games approach (make a few games and back them to the hilt over the years) makes sense. So why are likes of Asmodee, Blue Orange, Iello and the rest seemingly going largely against that philosophy? They do have back catalogues, but the number of annual new releases is very, very high. More customers – but the same sized print runs? One reason is clearly the new gamer that has been created by the age of the Kickstarter: hype-hunting, cult-of-the-new driven and desperate for ‘value’ – even if they have to pay £100+ to get it. A game isn’t a real game unless it comes with exclusive content only available on pre-order – even if said content is being made up on the fly as the millions of KS dollars role in. But then we keep being told we have more new gamers than ever before, so surely the minis companies can continue to have their fun while the rest of us go back to having a fantastic annual crop of games we can actually manage – and that are properly developed and then loved (by both publisher and gamer) on release? Games with enough depth to survive more than a handful of plays? These still happen, of course, but as I stated earlier – the number doesn’t seem to be growing, despite a doubling of actual games being released each year over the last decade (or less). We’ll always get the Azuls and Gaia Projects, but now we have to wade through so many more mediocre games to get to them: and many really good games are being lost in the malaise, ditched to history after a 5,000-copy print run because they weren’t well supported or covered. So what do we design – and what do we play? As a reviewer and designer, I’m lucky to play a larger number of new releases – pre and post publication – than most. But with even the Dice Tower’s Tom Vasel admitting that, as a full time reviewer, he can only play a fraction of releases – where does that leave the rest of us in terms of due diligence? As a designer, I want to see what’s being done: to spot great new mechanisms and designers, as well as seeing the directions publishers are taking in terms of releases (so as to better know who to pitch my designs to). And I’m sure it’s the same for publishers: they need to know the trends, to help them decide what is worth publishing and what isn’t. I’m sure a lot of releases branded as ‘copy cats’ were probably done out of understandable ignorance rather than deliberate shenanigans. As a journalist, I’m peppered with requests to cover KS games by people who don’t want me to play them: just to cut-and-paste their press releases, or do a paid rules overview. The games I want to play (by proper publishers) I have to hunt down, hassle, buy or borrow and then – even if I review them – it may do the game no good, because it has been completely overlooked by the hype machine. A lot of really good games simply aren’t getting a fair crack of the whip. And publisher fatigue is definitely starting to show. I know of several publishers who were hardly looking at any new designs at Essen this year, while others were reported to be looking but with no real intention of taking on any new projects. Others have freely admitted to over-extending in terms of releases – meaning they didn’t have the resources to fully back them in the market – while talk of scaling back the number of games is another common topic of conversation. Is it even a problem? Top designer Reiner Knizia got by ignoring other designs and just carrying on regardless (or so the story goes). But rumour has it he has lately been playing more games – and his output is improving because of it after a poor run of form (at least by his own high standards). But generally I think it is a problem. Retailers can’t stock everything and invariably end up with a lot of crap stock no one wants. Customers end up with as many bad games as good and, where once the secondary market thrived, even that is now reeling under the weight of games being ditched. Publishers are in an annual release-test-develop-release cycle that sees them flying by the seat of their pants, while designers are carried along on the same wave. It’s exciting sure, but ultimately unsustainable. I expect the next few years will continue in the same cycle: uninspiring, short life cycle, family friendly games will continue to dominate the big publisher release schedule while the innovation will come in 1,000-5,000 print run releases from smaller publishers: these niche publishers will, by dint of caring about a smaller part of the market, be at the right end of the due diligence scale but will be in a market reminiscent of a decade ago. But designers hoping to make a living will be encouraged to make games for the lowest common denominator, knowing that’s what the bigger publishers want: games they can make pretty and tie to a theme, while not over-burdening the new gamers coming into the market with too many surprises. I also think the big boys will continue to extend their print runs as the hobby grows, but very rarely into the mega seller category – because they’re largely not making games for that reason (as I spoke about recently, variability doesn’t equal replayability – good game design does). It’s going to take a drop in releases, and a tightening of focus, to get the production cycle of the hobby back on track. It’ll mean more due diligence from designers and publishers, but that can only be good for the hobby. Taking a look back at my original gaming podcasts post, I was surprised at just how much has changed. I considered updating that post again, but decided it would simply be too much work: so instead, here’s a new Top 10. I realise I have a tendency to turn Top 10s into top fifteens, or twenties (or sometimes more…), but this time I’ve managed to keep it to a solid 10. However, to make sure I continue to break from tradition, this isn’t in order from favourite down: rather, it is a spread of podcasts I think – between them – should appeal to a large range of gamers. As an ignorant Englishman that only speaks his native tongue, these are all in English. I also find them all well produced and at least reasonably well edited, and none of them are advert heavy. I’ve marked the ones I consider could cause offence (but none are that bad). And as always, I’m sure you’ll have your own recommendations: I’ll list a few obvious exceptions at the end, and there are more I no longer listen to on the links above, but please suggest others I may have missed. Probably the most popular board game podcast, The Dice Tower now heads its own mini empire of podcasts and video content. Its level of output is second to none, with only the Board Game Geek website beating it in terms of new release coverage. This weekly podcast itself has four hosts on rotation, two male and two female, and each hour-long episode starts with talking about what they’ve recently played before moving onto a topic. Topics are often top 10 lists, but can include everything from live shows from cons to listener questions and topic discussions. Unfortunately one of the four presenters is a good few levels lower than the others in terms of quality, so I find myself skipping some episodes, but its definitely a great place to start your exploration. The UK’s leading gaming podcast and part of the Dice Tower Network, The Game Pit hosts Sean and Ronan give a refreshingly British spin to the world of board games. While a little more random in terms of release schedule, with more than 100 episodes under their belts they’re clearly here to stay. The long shows (usually two-plus hours) are purely topic driven, with regular features including Treasure Hunt (listing upcoming games and saying if they think they’ll be traps or treasures); Picking Over the Bones (lots of mini reviews of games) and Battle Reports (convention talk, often from during the con itself). Their family level banter (the guys are cousins) make it stand out, while regular guest spots from everyone from their kids/spouses to gaming friends (including me…) keep things fresh. 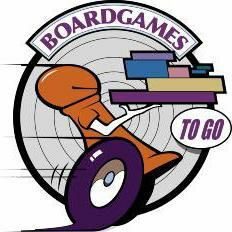 The original, and for me still the best board game podcast. 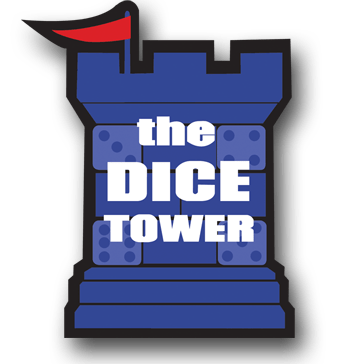 Hosted by Mark Johnson, it has been going since 2005 and is regularly quoted by many (including The Dice Tower) as being the inspiration behind starting their own shows. The majority of episodes used to be Mark on his own, but more often than not he now has guests helping him out (again, including me…). Mark’s tastes lean more towards family games, but euros do get some coverage. Episodes tend to come in under the hour and are thoughtful conversations or thoughts on topics including award speculation and convention play reports, ranging through to one-off topics on all kinds of things gaming related. For me, it’s the ‘up all night’ quiet time podcast in a see of louder, brasher offerings – and is all the better for it. Host Edward, and previous co-hosts Tony and Amanda, have been building an amazing heavy gamer community since the podcast began in 2014. It’s been an emotional roller-coaster, with the hosts always wearing their hearts on their sleeves, but the real focus has always been on heavy, heavy games. If you want to learn about games in the 3+ on the BGG weight scale, this is the place for you. Shows usually cover games on their radar, followed by an in-depth review of a game – but you’ll also find con reports and interviews with notable designers of heavier games. They also do their own heavy game award each year, arrange meet-ups at cons and even have a world map of heavy gamers. This is a proper community (‘The Herd’) and all the better for it. There’s been a gap in the market for a new podcast concentrating on heavier games, and co-hosts Mike and Mark are doing a great job of filling it in. When I say heavy, I don’t mean heavy – for that, see the above entry. But these guys concentrate on games for those who have come through family and gateway games and are looking for the next step up in complexity. The hour-long bi-weekly episodes always include a ‘what we’ve played recently section (of all game weights) followed by a long-ish review and a topic. The reviews tend to lean towards sci-fi/fantasy games with lots of theme but also slightly meatier mechanics, such as Gaia Project or Mage Knight. But the approach is conversational and the guys come across as likeable and knowledgeable. Billed as ‘the comedy board game panel show’, this podcast does exactly what it says on the tin. Every fortnight, four panellists in two teams (and their host) tackle a series of daft challenges and questions based around board games: expect a great mix of genuine gamer knowledge and stupidity, from guessing the retail price of games to ad-libbing escaping from a game, Jumanji style: there’s even the occasional kazoo. Regular panellists include The Brothers Murph, while occasional guests (including Tony Boydell and Christina Aimerito) keep things fresh. No, not every skit is hilarious – but they hit way more often than missing and it’s great to have a board gaming podcast that’s breaking the familiar mould. 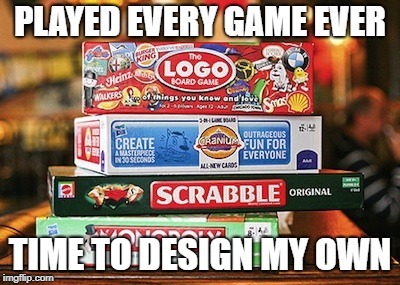 The original and best podcast about board game design, Ludology has been co-presented by Geoff Engelstein since 2011. I still miss original co-host Ryan Sturm, who was a great foil to Geoff for the first 100 episodes; and card game design legend Mike Fitzgerald who stepped in until episode 150. Since then, current co-host Gil Hova and Geoff seem to have moved more away from the science into their own design experiences which feels detrimental to the show’s original concept – but I guess it’s natural, as both now have plenty of games published (although nothing of note. If I hear “When I was designing The Networks blah blah blah” one more time…). That aside, it’s still the best place to genuinely get your game design brain thinking in new and interesting directions. A close rival to Ludology’s crown, the only real thing holding the Round Table back from being my favourite design podcast is its mix of computer and tabletop design. This can be fascinating, and many of the lessons learned can be applied to both camps in interesting ways; but it does mean some episodes feel totally irrelevant to me. That said, the great ones really do make you think. Regular co-host Dirk Knemeyer used to have the Gil Hova problem (see Ludology above) but has since become a fantastic pilot of the show; while regular co-hosts David Heron (Star Trek Timelines), Harrison Pink (Blizzard) and Rob Daviau (Hasbro, ‘Legacy’ games) lend some genuine design heft to proceedings. Rahdo Talks Through is the podcast from hugely popular Rahdo Runs Through presenter, erm, Rahdo. If you like Rahdo then you’ll like this. Personally, I don’t tend to agree with his opinions on games and tend to find he is overly popular about most titles: if you want to reduce the games you might want to find out about in a sea of mediocrity, this is not the podcast for you! That said, he’s clearly a nice guy and if you want a couple of hours of positivity every few weeks it could be for you. The Secret Cabal Podcast is possibly the second most popular podcast behind The Dice Tower: I can’t stand it. It’s well produced but the depth of knowledge is frighteningly thin and they clearly don’t play each game very often. In truth, I’ve probably just listed the reasons why it’s so popular: a lack of depth in plays and being new-ish to the hobby means you’re going to find a massive audience right now, in a rapidly expanding hobby driven by the ‘cult of the new’ – especially in the US where they’re from. The D6 Generation used to be on my list, and is still hugely popular, but there was just too much in episode that I didn’t care about. There’s a lot on here about miniatures gaming (such as Warhammer 40k) and RPGs, as well as non-tabletop gaming topics such as film and computer games – and the podcasts tend to go very long (often pushing towards three hours). There just wasn’t room in my listening schedule – but if your gaming tends to cover the whole spectrum, this could well be one for you.